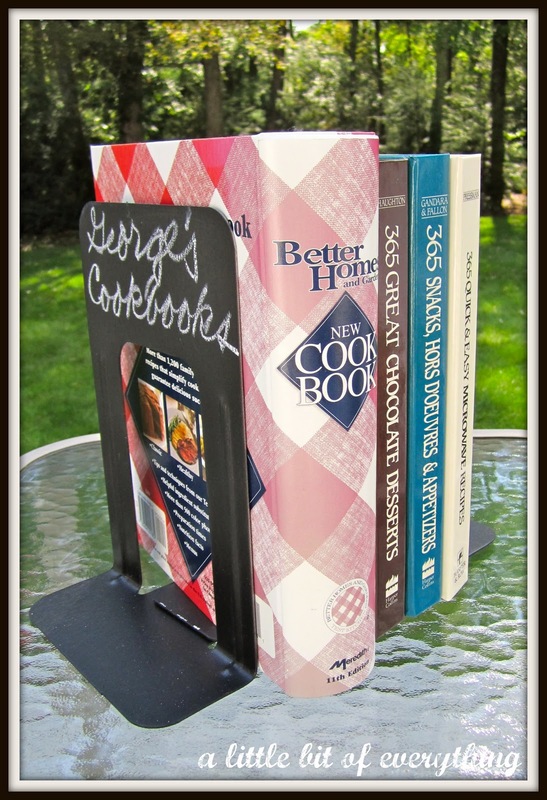 These bookends are sturdy and up to the challenge of holding upright a large collection of cookbooks of various sizes but they are not all that attractive. 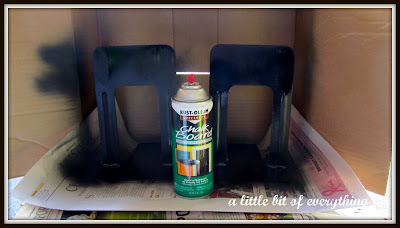 I decided to spray paint them with chalkboard paint and write my daughter and son in law's names on them. They have a substantial collection of cookbooks atop their kitchen breakfront which was crying out for some support. Following the directions on the can, I did about 3 coats of paint allowing it to dry in between. After waiting 24 hours, I seasoned the bookends by running the side of a piece of chalk over the surface and wiping it off. An easy fix! Wonderful idea. I have some bookends like these. Hummmm? That is a great idea..Love it with the cookbooks! Great idea! I always love the inventive ways people come up with for chalkboard paint! Never seen this before! Following you from Monday hop. This is a clever idea, btw. Thanks so much for linking up with Super Stalker Sunday hop again. Nice to see you! These are so much better than the original! What a great idea. I'm going to be keeping my eyes open for some at Goodwill! You are very talented in your thinking and creations. I have been wanting to try chalkboard paint for the longest time. This maybe a first project for me. I have that Betty Crocker cookbook that I got in 1966 for a wedding gift. I have taped it many times and use it many times. Your bookends are AWESOME!!! Thank you so much for stopping by and for linking up to the Tuesday To Do Party! What a fabulous idea...your book ends are unique and beautiful! Kudos to you! Stopping by from the alexa blog hop! I'd love it if you'd come check out my page - http://moneysavingmindy.blogspot.com. New follower from the blog hop!! Cute idea! I hopped over from Follow Me Fridays on Trendy Treehouse. Love this idea- I have seen the chalkboard paint, but not in spray paint before- I will have to check it out!! Have a great weekend! What a neat idea- I love how those came out!! So charming! Would love for you to come share at Feathered Nest Friday sometime! There are endless options for chalkboard paint! 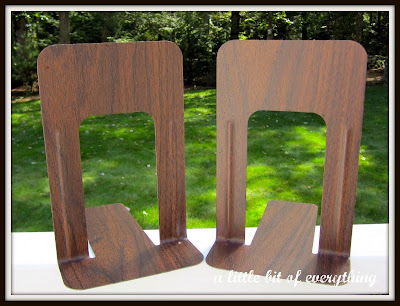 The bookends are really cute- and so simple. Well, aren't you the very creative one? 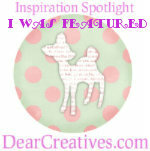 I found your link on The Weekend Creation Blog Hop and hopped on over for a peek. I have never tried chalkboard paint, but have always wanted to use it. Glad to know the product works. The bookends turned out beautifully. That is a great gift idea for so many people and very personal. I love it and your blog is chockful of great stuff. I also see these ugly used bookends popping up at Goodwill. I am a fan of recycling whenever possible. This would be so cheap to do. And so chic. Your added craft links at the bottom caught my eye. I am going to check out the cork one. I am your newest follower. Follow back, if you haven't already and hop on over to my blog for an article by author J. Carson Black about designing a professional/successful book cover and how to brand yourself as a product. For all you crafters out there, I posted an article with links to Halloween decorations made from recycled books in the past week. They are really cool, so come check it out. What a wonderful idea...there is so much you can do with apray paint!! Good job! Wow! What a wonderful, easy, creative solution! I'm a new follower from the Friday Blog Hop--would love a follow back. Great idea! I love to paint with chalkboard paint. It's fun, and I can always use another set of book ends for the many books I have. That is such a great idea! I'm thinking it would be great for a kid's room too! And how simple!! I want to sit in front of that flower market all day long! Following you from the Friday Over 40 blog hop. I would appreciate it if you would follow me back. I love your bookend idea!! this is a really cute idea. I will have to try something like this. I'll definitely be keeping my eyes out for a set of book ends like the ones you used for your project! What a fabulous idea to chalkboard paint them! Love it! Always a joy to have you be a part of "A Little Birdie Told Me..." Tuesday at Rook No. 17! New follower from Tuesday train. I love it! Great blog! I found you via blog hop and I am your newest follower! Thanks for joining in for this weeks Wobble Over Wednesday. Love the book end idea!!!! I'm your newest follower and am new at this blog thing. I love crafts and you blog has inspired me to go finish my craft. Oh, I like those. Great idea. Hi - am your Newest FOLLOWER via the sat blog hop - nice to meet you! 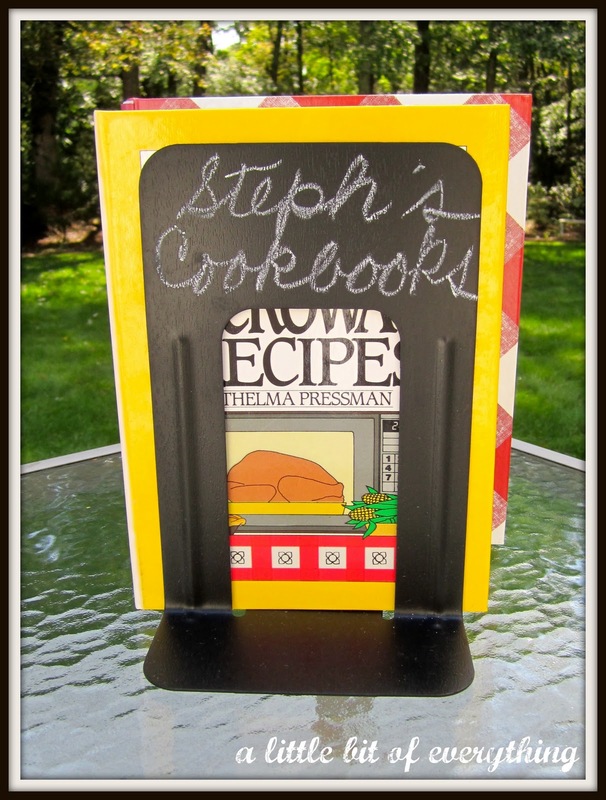 I love your blog - the chalkboard book ends are a great idea! I also love all the travel sidebar options - have you been to all those places? Wow! I found you on a blog hop, I am a new follower.